From 12 PM - 1 PM, Yoon will participate in a lunchtime discussion geared toward undergraduate students about covering elections and working in the media industry. The discussion will be moderated by Political Science Professor Marc Meredith and will take place in room 350 of the Ronald O. Perelman Center for Political Science and Economics. A light lunch will be served. At 3 PM, Yoon will deliver a talk geared toward a wider audience entitled "Unrigging the System: What News Organizations Can Do To Restore Public Faith in the Presidential Electoral Process." This event will take place in room 250 (The Forum) of the Ronald O. Perelman Center for Political Science and Economics. More about this talk is below. 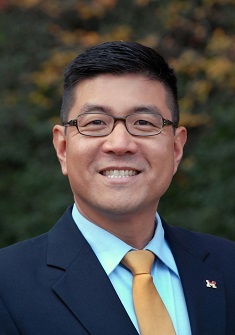 Robert Yoon is a political journalist and the Howard R. Marsh Visiting Professor of Journalism at the University of Michigan. As CNN’s Director of Political Research, he covered five presidential campaign cycles and helped prepare eight different moderators for 30 presidential debates. His contributions to CNN’s election coverage have earned him two Emmy Awards, five total Emmy nominations, a Peabody Award, and a National Headliner Award. He received an additional National Headliner Award for his work on CNN's investigation of the 9/11 terror plot. In 2016, he was named by Mediaite as one of the most influential people in the news media. He is the host and creator of “The J Word,” a journalism-themed public affairs talk radio program that airs on WCBN-FM Ann Arbor. He was awarded a Knight-Wallace Journalism fellowship at the University of Michigan in 2017. There’s that old saying about the two things that no one should ever watch being made: sausages and laws. After covering politics for 17 years at CNN, Robert Yoon is ready to add a third item to that list: presidential elections. The way we pick a president is, for lack of a better term, a hot mess. The 2016 election reached an unprecedented level of messiness, and news outlets often fell short in organizing that mess for voters. Yoon will explore some of the biggest issues facing news organizations as they cover presidential elections and highlight some of the key decisions that are made along the way that ultimately influence what the American public sees on election night. He’ll also wrestle with what news organizations can do as they prepare for 2020 to restore the faith of the American public in the presidential election process.